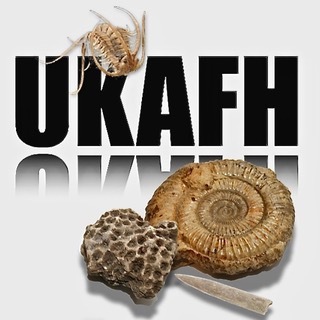 On Sunday the 4th June UKAFH descended in number upon the Sussex shoreline for a fossil hunt from Pett Level towards Fairlight – a stretch of coastline famous for its dinosaur foot prints, foot casts and dinosaur bone. We began with a short explanation about the geology and what could be found. Exposed in the cliff here is the lower part of the Wealden group of formations, a deposit of sandstone, siltstone, clay and conglomerates dating to the Lower Cretaceous, about 140 million years ago. It was deposited in a vast river system and flood plain at a time of exceptionally warm global temperatures and an area of extremely seasonal weather. The seasonal nature of the palaeoclimate helps explain why this deposit came to be so fossiliferous and preserve the famous foot prints and casts. We can imagine the area as a warm, wet, densely vegetated environment, indicated by the great number of plant remains found here. The numerous rivers and lakes were abundant with life, made apparent by the dense assemblages of bivalve fossils, abundance of fish bone, scales and teeth and most notably by the huge slabs of bioturbation found on the shoreline – the trace fossils of creatures moving through the fluvial mud. This mud was also deposited on the river banks where huge (and sometimes small) dinosaurs such as Iguanodons or Baryonyx would stop for a drink, leaving their distinctive foot prints. Then came the dry season, which was extreme enough to cause bush fires – indicated by the presence of charcoal in the formation – the rivers dried up and the lakes became anoxic, aiding preservation. This was followed by the wet season, with intense storms and flooding, depositing larger grained sediment across the floodplain, burying the foot prints to form foot casts and preserving the remains of plants and animals to be found here 140 million years later. We didn’t have to worry about such seasonal extremes on this fossil hunt however, as the sun was shining while we enjoyed the summer warmth with a refreshing sea breeze. There was a lot to see as he headed west towards Fairlight. We saw large blocks of bioturbation and ripple marks preserved in claystone, the black remains of plant material were also abundant. The foot casts and prints were unfortunately sparse compared to previous UKAFH visits however a spectacular and rare theropod print was found. We also found huge slabs of Cliff End Bone Bed, a conglomerate which as the name suggests contains a lot of a bone fossils. These slabs contained clearly defined fish scales and teeth – those members lucky enough to find small pieces of bone bed took them home to treat with a mild acid such as vinegar to extract the fossils within. Other finds included bivalves, the odd rolled dinosaur bone, fish bones and of course Nicky Parslow found an echinoid preserved in flint, something that’s become a trademark of hers. Another unusual find was the barrel of a gun found by Chris Avis. It was debated as to whether it was an Air rifle, a pressure washer, or even a WW2 American paratrooper rifle! I hope Chris has it looked at and lets us know the conclusion. Although the finds were few and far between on this occasion I hope everyone enjoyed a sunny and informative day on the beautiful Sussex coastline and I hope to see you all again soon on another UKAFH hunt. Please note. This stretch of coastline is a SSSI. Do not dig into or hammer the bedrock or cliffs – only loose fossils along the foreshore should be collected and any significant finds should be registered with Bexhill Museum. The often abundant foot prints and casts must not be collected – instead take a photograph and leave them for everyone to enjoy. This entry was posted in Reports and tagged bone bed, dinosaur, foot print, fossils, hastings, hunt, pett level.